The Striped Dolphin is an extremely unique animal. 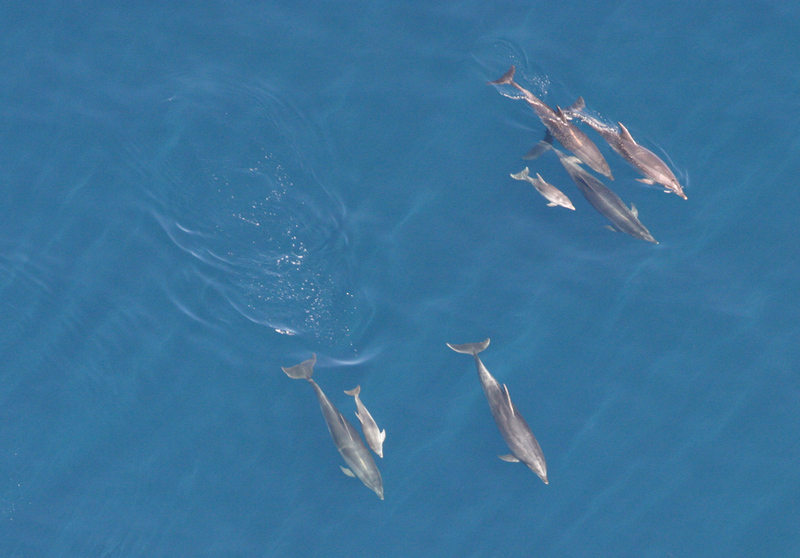 Like most dolphin species, these organisms have been the center of a large amount of curiosity and study. Their highly sociable lifestyle and extensive interaction with other species, including humans, have made them one of the most highly popularized species on the planet. But what makes this species so incredibly unique? To learn all about this dolphin's amazing body and lifestyle, continue on and explore this website! The Striped Dolphin’s species name, coeruleoalba, has Latin origins. The Latin word caeruleus, which makes up the first part of the name, means “sky blue” while the second portion of the word, albus, means “white” (Reeves 2002). This species gets its common name from the distinguishing gray stripe that runs the length of its body (NOAA). Stenella coeruleoabla belongs to the Kingdom Animalia and Phylum Chordata because it is multicellular, heterotrophic organism and possesses a hollow dorsal nerve cord, called a notochord. Since it gives birth to live young, it falls under Class Mammalia. It belongs to the Order Catacea because it is a marine mammal and the Family Delphinadae because they possess conical teeth as opposed to the baleen found in other marine mammals. They belong to the Genus Stenella because their body is much more narrow than those of other marine mammal genera. Their species is distinguished by the narrow grey stripe that runs along either side of their body. Taxonomy information from Animal Diversity Web. To discover more about this species, continue to the Habitat page. To learn more about this website visit Multipleorganisms.net. Cover Photo taken from Bureau of Ocean Energy Management.